In the second half of 2017, we were hit with a rumor of a split Jordan 1 OG High including the lateral side of a “Bred” and medial side of a “Chicago” Jordan 1. Well, with time it’s almost official that these shoes are not a sample and will in fact release. First and foremost, Nike released extensive pictures on their news section last year, which they do not usually do for sample-only sneakers. In addition, DJ Folk took to Twitter to tweet a release date of “5/19.” However, other websites and speculators, have predicted an April release. Only time will tell who’s right. The sneaker itself is very intriguing and unique. With recent releases of Jordan 1’s from the red and blue “Top 3” and the gold ComplexCon “Top 3” being asymmetric and unique, this is no different. 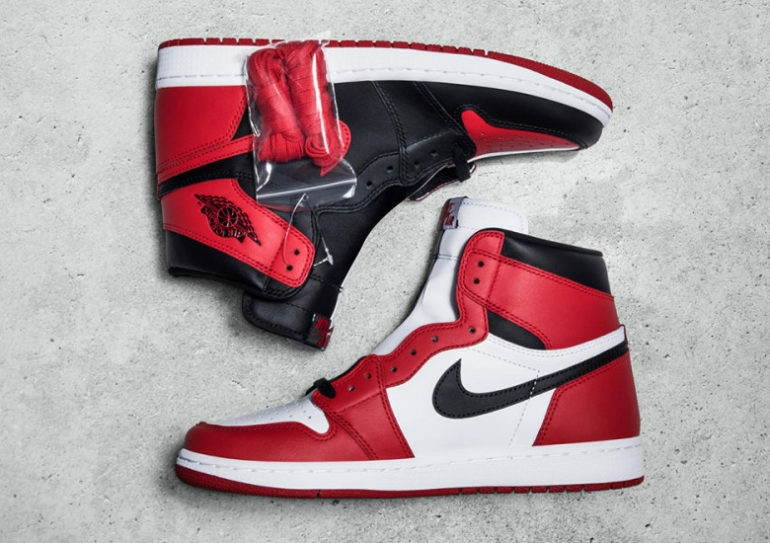 A line going directly through the middle of the sneaker divides the two OG colorways creating what Nike has named the Jordan 1 “Homage to Home.” The shoe has created a debatable topic for sneaker enthusiasts on whether they are hot or not. In my personal opinion, I can’t turn down a black, white, and red Jordan 1 High and it’s really going to come down to how you wear them to make them look good. The shoes are really going to do the talking with this one. Stay tuned to TucMag.net for further official release information and official images as they come up. For you, are they going to be a cop or not? Previous ArticleKeep Calm, Spring Break Is Here!